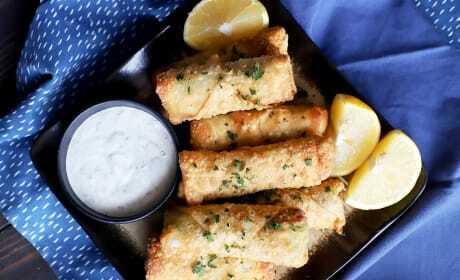 Avocado Sundried Tomato Egg Rolls with Creamy Ranch Dipping Sauce sound like a mouthful because they ARE. 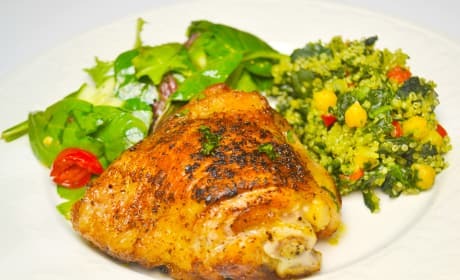 A delicious, delicious mouthful. 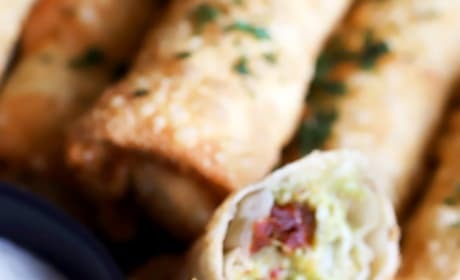 Avocado Sundried Tomato Egg Rolls will kick off the party and keep it going. Just look at that Ranch dipping sauce! 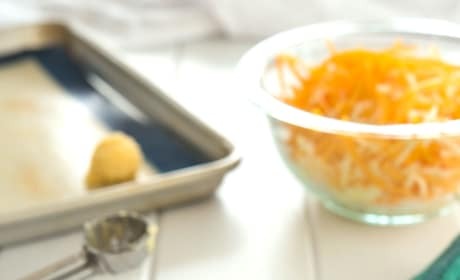 Avocado Sundried Tomato Egg Rolls are a fresh new way to up your appetizer game. 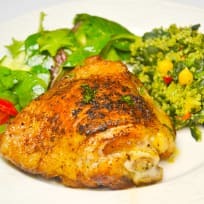 Sundried tomatoes will make the flavors pop! 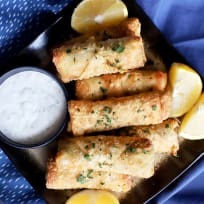 Avocado Sundried Tomato Egg Rolls with Creamy Ranch Dipping Sauce are whatchya need to get the game day party started. Get on it. 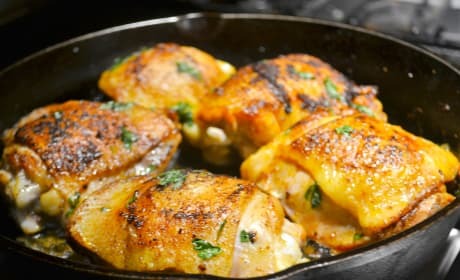 Crispy Cast Iron Chicken Thighs can do protein duty in just about any supper you want to throw them at. 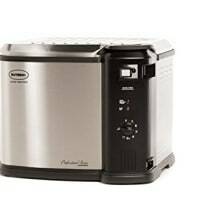 They work well with rice, potatoes, quinoa or salads! 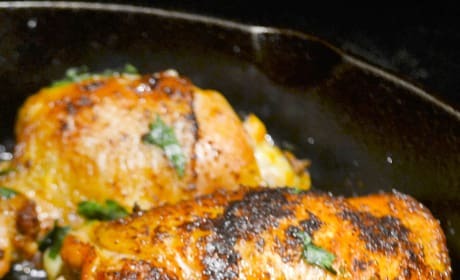 Crispy Cast Iron Chicken Thighs are a dinner staple. 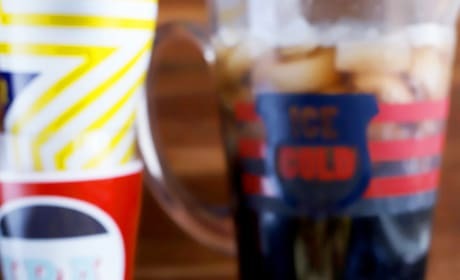 They go with just about any side, making them fantastic all year round. 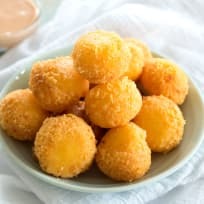 Fried Cheese Balls, also known as Bolitas de Queso, are an easy appetizer for any night of the week. Everyone will love them! 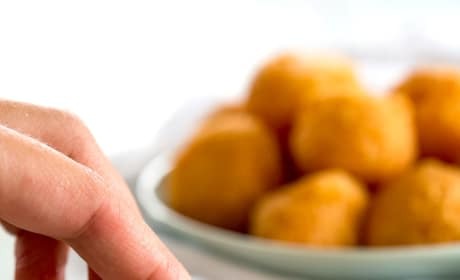 These Fried Cheese Balls are a delectable way to get your party on. The cracker coating makes them extra crunchy! 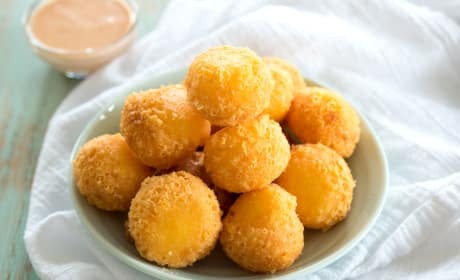 These Fried Cheese Balls are where it's at! 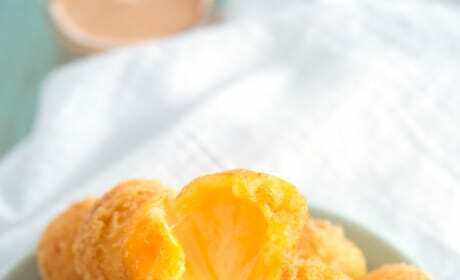 They're only three ingredients and quick and easy to make too. 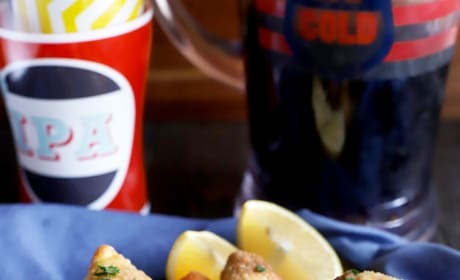 These Fried Cheese Balls will be a big hit at your tailgate. Hello, delicious! 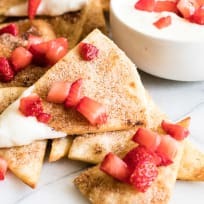 Cinnamon Tortilla Chips can be enjoyed so many ways. 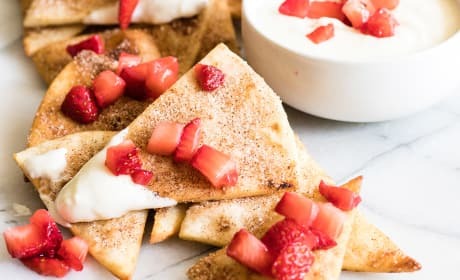 You'll love dipping them in your favorite sweet treat!